The annual NASA Space Settlement Contest has opened for entries for 2015 and all students up to 12th grade (18 years old) from anywhere in the world are invited to participate. Designs, original research, essays, stories, models, artwork or any other orbital space settlement related materials may be submitted. All contest participants will receive a certificate and an invitation to attend the National Space Society (NSS) 34rd annual International Space Development Conference (ISDC) in Toronto, Ontario, Canada 20-24 May 2015. Settlements may not be on a planet or moon — must be permanent, relatively self-sufficient homes, not temporary work camps. Settlers of this high frontier are expected to live inside large air-tight rotating structures holding hundreds, thousands, or even millions of people along with the animals, plants, and single celled organisms vital to comfort and survival. 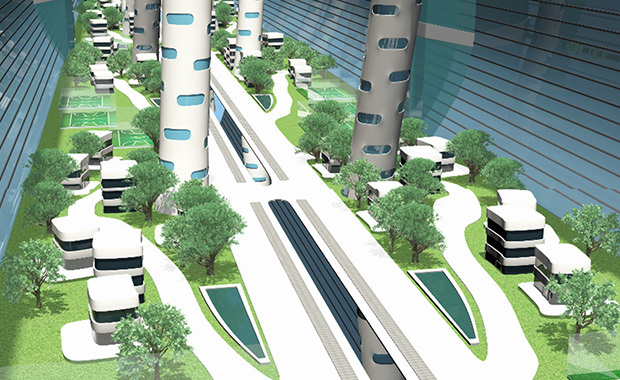 The 2015 NASA Space Settlement Contest is open for submissions until 1st March 2015. Individuals, small teams of two to five, and large teams of six or more persons are all eligible to enter.